[PDF] Private Equity, Corporate Governance And The Dynamics Of Capital Market Regulation | Free eBooks Download - EBOOKEE! Description: Global capital markets are in a state of flux. Castigated in the past as "Barbarians at the Gate", private equity providers are once again proclaiming the end of the public corporation. 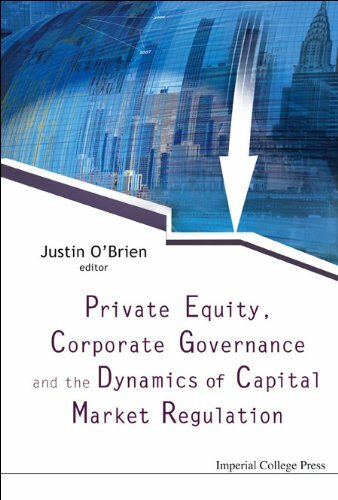 This important book addresses the implications of private equity for the governance of corporations, the capital markets in which they operate and the professionals who provide corporate advisory services. The book evaluates and ranks the precise nature of the risk posed by private equity by situating it within an overarching analysis of the dynamics of financial capitalism. Key issues addressed include: the management of conflicts of interest, fiduciary duties, the role of enforcement, the efficacy of adopting a rules- or principles-based system of regulation, the form and function of compliance, and a detailed examination of how to embed accountability into an integrity system for the financial markets. The book therefore has enormous benefit for industry, regulatory and academic communities alike. No comments for "[PDF] Private Equity, Corporate Governance And The Dynamics Of Capital Market Regulation".